Charles W Burke, born 1849 in Iowa, and died 1910 in South Dakota. Charles was married to Kate Coyne in 1885. 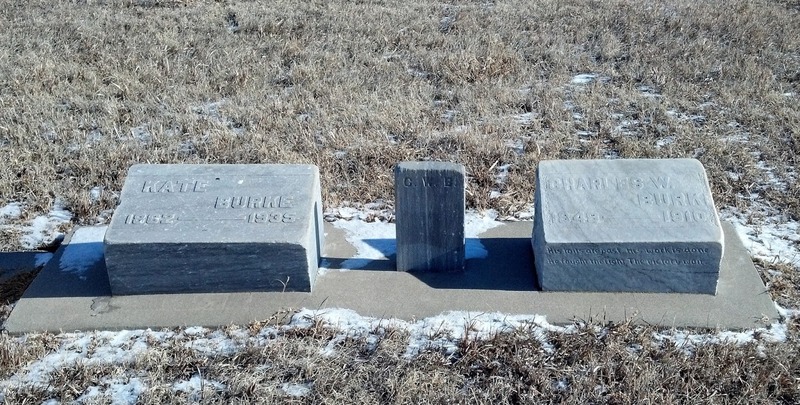 Together they had 9 children, 5 boys & 4 girls; Charles (1890), Addie (1981), Florence (1893), Dora (1895), Lee (1897), Myron (1904), Lafayette (1905), Orville (1907) and Della Marie (1898) my husband's great grandmother. 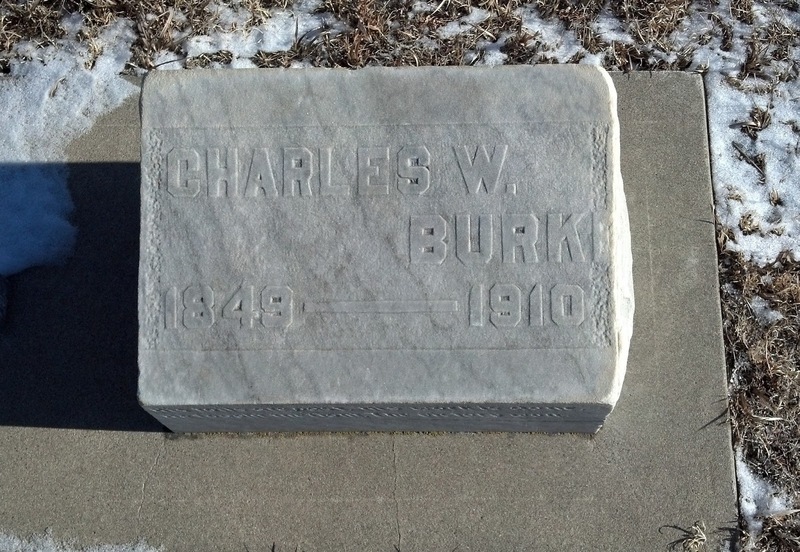 What a nice surprise, my husband's grandfather is Charles Augustus Burke born 1890. I have been trying to find Charles William's parents but to no avail. Ithank you for posting their tombstones.